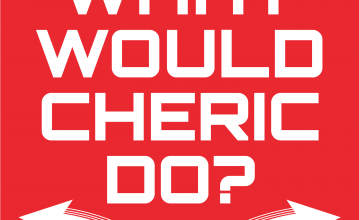 January | 2018 | What Would Cheric Do? In this book, Cheric is a paranormal detective solving all kinds of mysterious mysteries. We get a call from a man asking for our help and we know we’re the only ones who can get to the bottom of this. We have no idea what awaits us in this house, this House of Danger. In this adventure we are taking on one of 3 SUPER ADVENTURES! We’ll journey to the year 3000 and who knows what lies in wait. There will be more challenging choices, more perilous worlds, and more deadly potential endings for this young adventurer. Will Cheric survive this journey? Will Chad & Eric navigate this labyrinth of decisions? Only time will tell…welcome to Chapter 2 of WWCD!